Q: What’s red and white all over with free wifi? 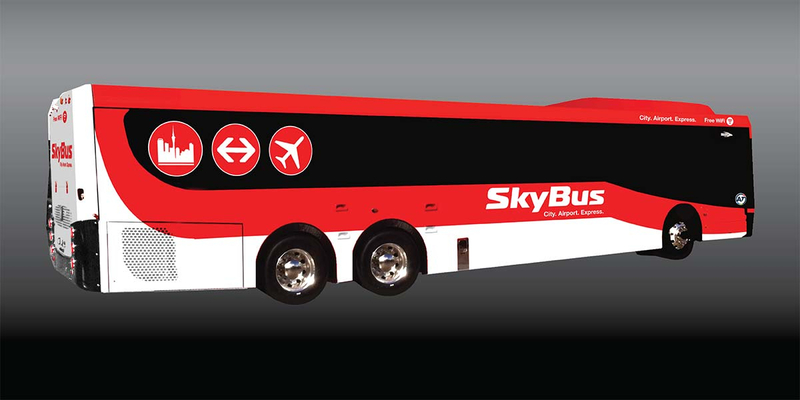 Angle: SkyBus Auckland’s new buses. SkyBus, the new owners of Auckland’s airport bus service contacted Angle looking for help to rebrand their fleet of buses. Towards the end of 2015, Melbourne bus operator SkyBus bought what used to be Airbus Express – the service transporting travelers to and from Auckland International Airport to the CBD. The existing fleet of 15 buses were refurbished and rebranded and new vehicles were added to the fleet. Free on-board wifi was installed, a new mobile-based ticketing app launched and service frequency was increased to attract more passengers. 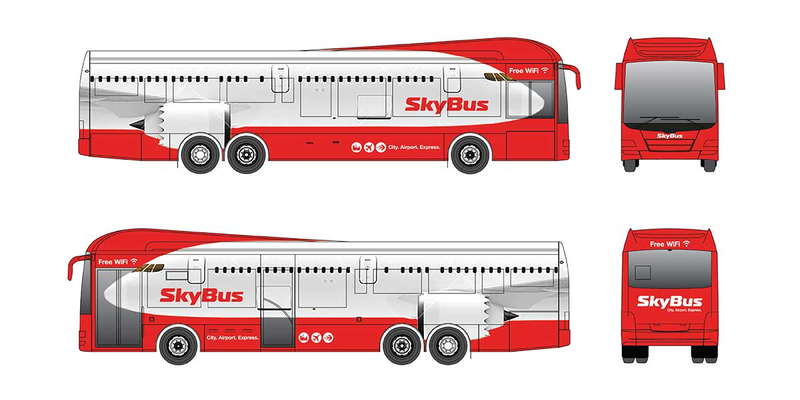 Working with the Melbourne based Directors of SkyBus, Angle produced multiple concepts and design developments – initially as flat visuals on supplied CAD vehicle drawings and eventually as Photoshop renderings on actual vehicles. Final vector artwork and marked up renderings were supplied to facilitate the process. 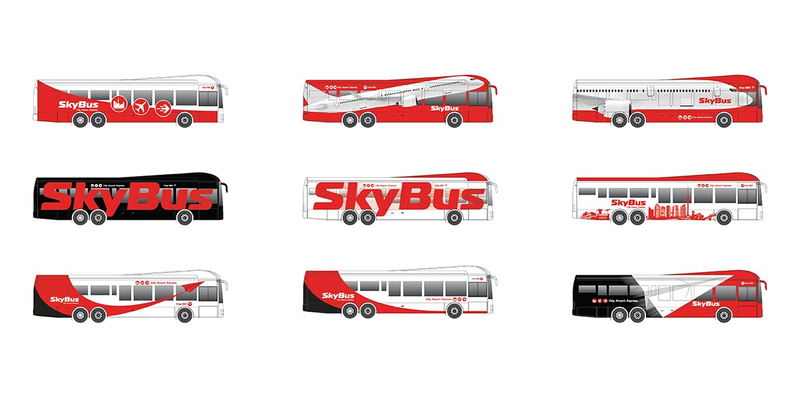 A simple but effective combination of the distinctive SkyBus logo and a suite of circular icons was the eventual solution.